We’ve rounded up five roast chicken recipes from the experts to make this Easter lunch tasty and special. Easter is just around the corner, which means it’s time to start thinking about your Easter family lunch feast. What better way to celebrate than with a beautiful, crispy and delicious roast chicken. 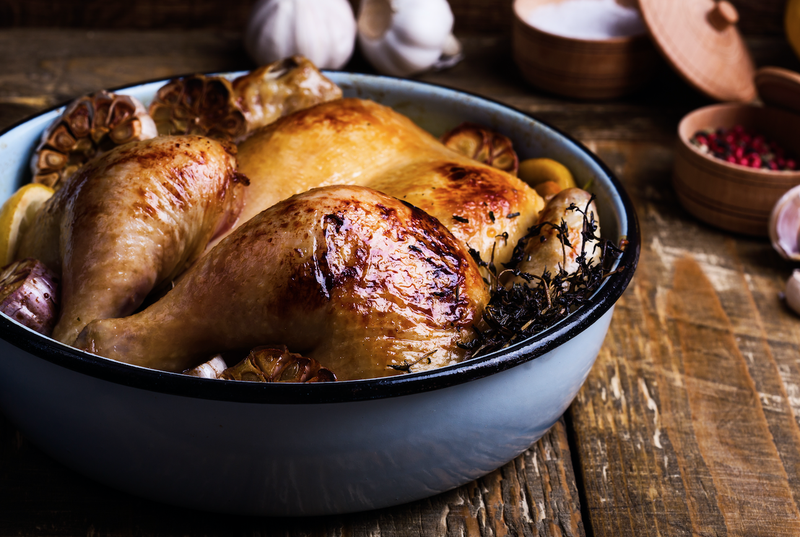 We’ve found five recipes from well-known chefs like Gordon Ramsay, Maggie Beer and Heston Blumenthal to help you create the perfect Easter chicken roast that will leave your family begging for more. Ina’s perfect chicken roast is packed with flavour and looks delicious. Her ingredients are simple – lemon, garlic, salt, pepper and butter - making it an easy recipe, but a tasty one. If you’re looking for a perfect roast chicken with large flavours that pack a punch, then this recipe is for you. Using spicy Spanish sausage, onions, thyme and cannellini beans, Gordon’s recipe is far from a traditional roast but promises to be an exciting one. Known for her use of fresh local ingredients, Maggie Beer promises a deliciously traditional “chook” roast with a slight twist. Using fresh garlic and verjuice (made from the juice of unfermented grapes), Maggie’s roast is tender and juicy and super easy to make. Besides making awesome food videos, Tasty is known for their recipe testing and perfecting. After testing many roast chicken recipes, they have formulated a recipe for a crispy, tender and juicy chicken roast. If you fancy yourself a bit of a scientist in the kitchen, then you’re probably a huge Heston Blumenthal fan. Most of Heston’s recipes seem impossible to recreate and use equipment and methods most of us have never heard of, but this recipe is relatively simple and all you need is your oven and stove. The ingredients are simple as well, making this one Heston dish you shouldn’t be scared to try. Now that you’ve chosen your recipe, all you need to do is find the perfect bird to use. Check out Riversmead’s range of whole chickens to make your perfect Easter roast. Riversmead Farm chickens are of high quality and are always delivered fresh to grocery stores. With strict quality standards and sustainable and green farming practises, you can be assured of tasty, fresh, and ethical products which are good for you and the family. Visit www.riversmead.co.za for more information.